When it comes to tires, Jaguar Vancouver always treads carefully. Just as with genuine Jaguar parts and accessories, we strongly recommend that you only choose tires that have been selected, developed, and tested for your Jaguar. Our tires are made with a specific construction and compound, and they’ve been uniquely tuned and designed to enhance performance. At Jaguar Vancouver, we’ve got it all. 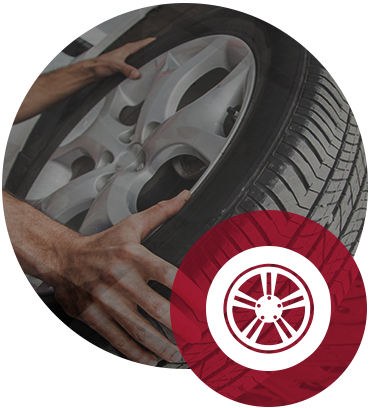 When you visit our dealership, you’ll find that we stock summer, winter, and all-season tires. Maintain your vehicle’s peak performance with tires that have been specifically designed for your Jaguar. More importantly, stay safe on hazardous roads with Jaguar winter tires. Once the temperature starts to regularly drop below 7°C, you know it’s time to change to winter tires. With a natural rubber compound that remains malleable in subzero temperatures, Jaguar winter tires keep you safe on the road with a strong grip. When you choose Jaguar winter tires, you’re getting peace of mind. Visit us at Jaguar Vancouver today to find the perfect tires for your Jaguar!